You create your life and you’re responsible for the life you’re living now. If you don’t like it or want more from it, decide what you want and create it. Only you can do this for yourself. No-one can do it for you and you cannot do it for someone else. Simple enough? Let’s get on with it. What do you want? Once you’re doing the first two steps, this third step also becomes vital. And now let’s find out about this third element. How do you ‘take action’? 1. If you don’t know what you want… and many people don’t, then take responsibility to discover what it is. You are entitled to have whatever you want so start by simply signaling to yourself that you are ready to know what you want. Say to yourself something like, ‘I am ready to know what I want in life.’ You’re stepping in and taking control. As silly and simple as it sounds, this single conscious act starts things rolling. Ideas and coincidences start popping up. It helps to ask this question of yourself every day and as you drift off to sleep at night. You can also sit quietly or take a peaceful walk with the purpose of contemplating what you want. Take action to find out. 2. You want lasting happiness? Here’s a little tip to help your pondering. Advertising, media and social pressures have tricked us into thinking that material items make us happy e.g. a new car, house, jewelry, the latest iPod, iPhone etc. Acquiring these items to bring about happiness usually doesn’t work. Generally the happiness is fleeting. I’m saying this in case life is still unexciting, boring or frustrating despite having already acquired the items you craved. Something with more depth is required, like a new hobby, livelihood/career, creating more time for self-indulgence or ways to do more of what you want. You may want personal change and growth, perhaps to become more confident or a more independent free-thinker. However, if you conclude that what you truly want is a material item, go for it. The journey will still take you in fresh, new directions and that’s the purpose of a goal: to discover new aspects of life and to learn. More than one dream or goal is fine too – you can have it all. a. Write a story about the life you dream of. You do this by imagining it as already real or by finding pictures from magazines and internet which encapsulate what you want. How to write a story? Write it as if you’re writing it today with your goals already in your life; fill it with colorful descriptions of what it’s like having this now. Use your senses i.e. what you see, hear and feel now that you’ve got what you want. Make it an amazing story. b. Create a collage on cardboard. This is immensely satisfying as you enter another world searching pictures and imagining what you want, knowing your dream is on its way. It’s enormously satisfying to take action by cutting and pasting and forming your dream. All this activity and your thoughts immediately start to bring your goals closer to you. What you think about, you get. You’re doing something about getting it. Feel proud that you are taking action to change your life. 4. Affirmations: Create affirmations about your dream goal. These are sentences which you design uniquely for you. They state what you want as if you already have it, e.g. Let loose. Design statements that fill you with anticipation and hope. Remember: if you can imagine it/design it and you passionately want it, you can have it. Write the affirmations out on rectangular pieces of cardboard and place them in prominent places around your home and workstation. Say them constantly and see each word in your mind as you say it. Be conscious and aware as you do this. 5. Be patient; never give up: Your old ways of thinking have long been entrenched and you may have doubts. Even if your first few goals take their time getting to you, stay persistent. As you start to manifest your goals, you’ll believe more in your ability to do this and therefore your goals will arrive faster. 6. Allow, allow, allow: You’ve set the stage. Loosen up on the controls. Leave yourself wide open for how the dream arrives and the possibility that it may arrive differently to how you imagined. It may arrive differently but you can be sure it will be even better than imagined. 7. Keep going, get more: Continually create more of what you want. Don’t stagnate or become bored. Boredom means you’ve had enough of what you are doing now (not to be confused with feeling lazy – we can be lazy even when we’re doing what we love). If you’re experiencing boredom, move to something new. Your purpose for being on earth is to take responsibility to explore, learn, have fun, evolve and become greater. 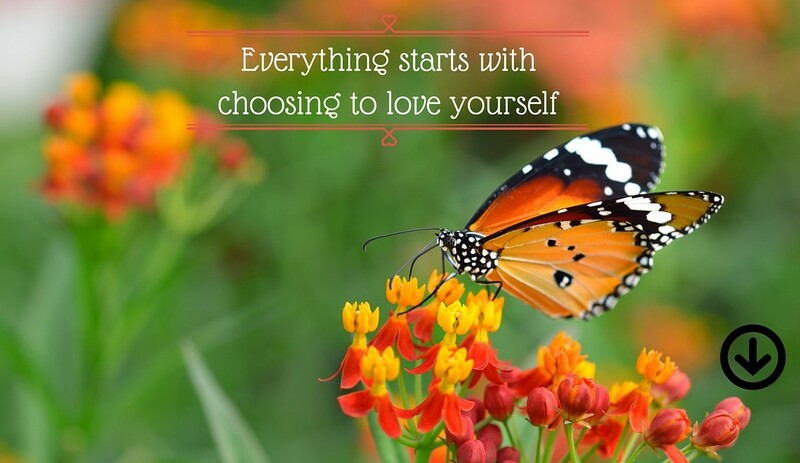 By learning about how to get what you want, by loving yourself and taking action to put in a little effort to change your life, you’ll get what you want and therefore start accepting that you CAN get anything you want. 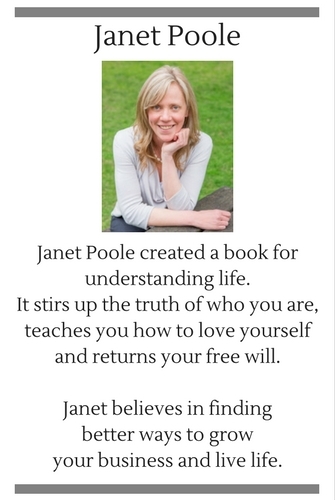 Do you want a no-nonsense formula for getting what you want and to enjoy a lifetime of happiness? 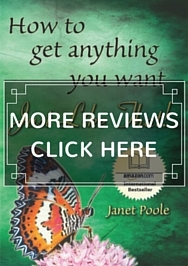 Then order “How to Get Anything You Want – Just Like That!” on Amazon and find out how. 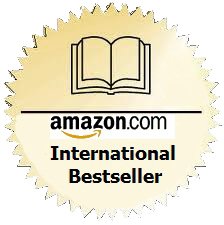 The book breaks with the traditions of today and reveals the hidden truth of ancient wisdom. You are precious, remarkable and worthy of having anything you want. Everyone is. “Just Like That!” also makes a great gift. 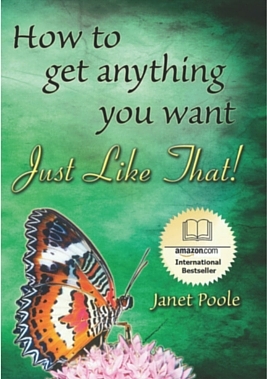 Find out more about the book “How to Get Anything You Want – Just Like That!”.